Melbourne and the wider Victoria region is a great place for enjoying the outdoors, whether it’s entertaining on your veranda or enjoying a beer outside your favourite pub. However, less-than-favourable weather – such as blinding sunshine, intermittent showers and the cruel southern wind –can sometimes make these small delights less enjoyable. With addition of patio and shade blinds in Melbourne, you can savour the outdoors all year round. Patio blinds are generally made of clear PVC, allowing light into the space and maintaining views. They protect against showers and wind, creating a sheltered outside spot to enjoy food, beverages or simply relaxing. Patio blinds can be configured in a number of different ways, to suit your outdoor patio or veranda as well as your requirements. People with outdoor spaces that receive frequent windy periods may require fixed awnings, attached at the sides and top of the blind. Those who only need occasional protection can opt for roller blinds that can be cranked up or down as needed. 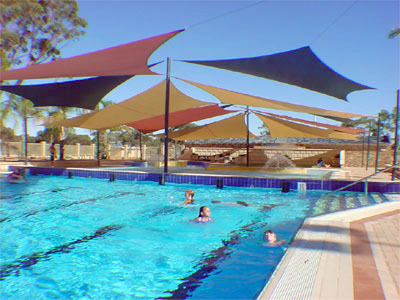 Usually made from a thick, yet breathable, shade cloth with added UV inhibitors, shade blinds block out the sun’s light and heat and allow air to circulate. Whether used to enclose an outdoor entertaining area or to cover the home’s windows, shade blinds greatly reduce the heat in the selected area. The amount of UV blocked is dependent on the colour of the blind. Darker colours of shade cloth naturally provide more protection; medium tones, however, still provide plenty of protection if the decor of your home or business favours these tones.